Imagine floating in the large heated pool or playing a round of golf while your friends in the north are shoveling their driveways. 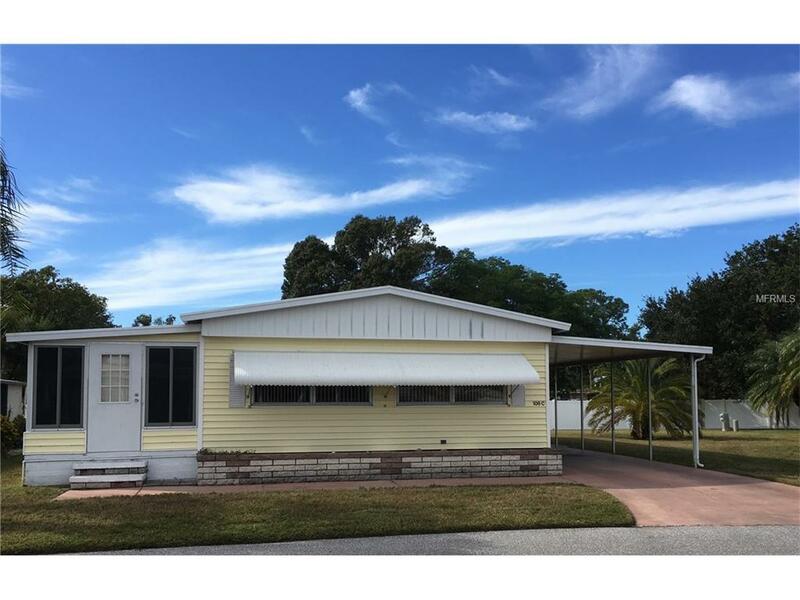 You can enjoy the Florida lifestyle in this spacious manufactured home in popular Palm Lake Estates. Situated on one of the largest and nicest lots in the neighborhood, this home has been lovingly maintained by it's current owners. If you like to entertain or have friends and relatives over, the ample sized kitchen and dining area will make meal times a breeze. Whether relaxing in the over-sized living room or just reading a book in the Florida room, there's a place for everyone. The lady of the house will enjoy the convenience of the indoor laundry, while the carport shed affords a place for tools and tinkering. Palm Lake Estates boasts a large clubhouse with lots of social activities, a heated pool, shuffleboard and a wood-working shop. The community is "over-55" and sorry, no pets in this area of the park. Additional Lease Restrictions Association Approval.